There's something for everyone in today's roundup of the most important tech news stories of the day, courtesy of our friends at TechRadar: new phones and VR headsets from HTC, rumours of a new iPhone X colour, and an interesting new use of AR from eBay. Not everyone wants to spend close to £1,000 on a new smartphone, and the truth is that these days mid-range and even budget phones are very capable, despite their low price. Enter the new HTC Desire 12 and 12 Plus, with elongated screens, stylish looks, and Android on board: they're expected to be rolling out in April or May, and while we don't have a price for them yet, judging by the specs these should be very affordable handsets. In the near future you should at last be able to watch a video on YouTube on the web while browsing the site for something else to watch. While this functionality has been available for a while on YouTube's mobile apps, we're yet to see it on the desktop – but reports suggest it's currently being tested with a small group of users ahead of a bigger roll out. The embedded video player that shrinks down also has playback controls, apparently. If you're still waiting to pull the trigger on an iPhone X purchase then you might be interested in talk of a new 'blush gold' colour that Apple is apparently prepping. The new shade is just a rumour for now, but it comes from a reliable source, and might be just the move Apple needs to inject some extra sales momentum into its top-end phone – at least until September, when we're expecting a whole new range of iPhones to break cover. You might be wondering exactly how the magic of augmented reality is going to make a real and practical difference to our lives – so here's a little example for you. eBay just released an addition to its mobile app that lets you put virtual boxes of various sizes on top of the goods you're shipping, letting you weigh up the size of box you need before you actually buy one. The app runs on Android's ARCore, but an iOS version is expected soon. We now have a price for HTC's upgraded virtual reality headset, and it can be yours for $799/£799/AU$1,199, with pre-orders placed now arriving on 5 April. 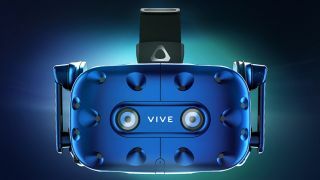 At the same time the original HTC Vive has been given a price cut to $499/£499/AU$879, so you can take your pick depending on the features and specs you want. The newer Vive Pro offers improved resolutions, an upgrade on the spatial audio, and a more comfortable fit for your head.